Zoie Kennedy is an actress, puppeteer, poet, director, artist, producer, writer and founder/Artistic Director of Twice Shy Theatre. Click on the image to view Zoie's website. Desmond O'Connor is an internationally renowned, award winning writer, composer, producer and performer. He is the Musical Director, Composer and principal collaborator in Twice Shy Theatre creating original soundscapes and compositions for all of our shows. Click on the image to view Desmond's website. Samantha Arends is a professional actress and puppeteer with a wealth of experience. From 'The Magic Flute' for ENO to TV's Newzoids via Flabbergast Theatre's 'Boris & Sergey', Sam is an amazing puppeteer and electrifying performer. 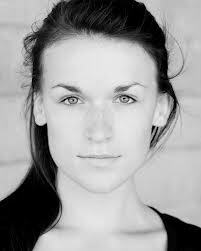 She is one of our original cast and principal puppeteer for Twice Shy. Click on the image to view Sam's website. Elaine Hartley is a professional actress trained in theatre, film, TV, voiceover work and puppetry. She is an associate artist with Flabbergast Theatre Company, specializing in Bunraku puppetry and physical theatre. She is one of our original cast and principal puppeteer for Twice Shy. Click on the image to view Elaine's website. 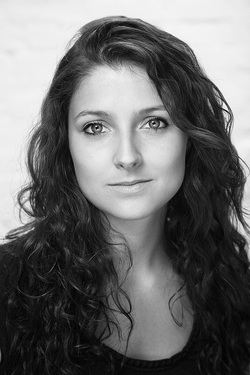 ​Kim Scopes graduated from East 15 in 2011 and has been fortunate enough to have been working ever since. 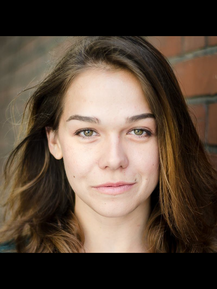 She has toured extensively with Blunderbus Theatre Company, appeared in a Special K Commerical, performed Shakespeare at the New Wolsey Ispwich and has recently completed filming as a puppeteer on CBBC's Strange Hill High & Newzoids. She also regularly appears as a puppeteer with Flabbergast Theatre Company, who present Balkan Bad Boys Boris & Sergey. Kim first started working with Twice Shy Theatre at Glastonbury Festival 2014 and is thrilled to have been made to feel so welcome in the company. Dylan Tate - Dylan joined Twice Shy for our interactive film performance at BURN and for our Amsterdam fringe show, both with puppets and without. He also made excellent money working one of the red light windows during the interval. Drew Colby of Finger and Thumb Theatre is a world class shadographer and regular collaborator with Twice Shy's improvised storytelling adventures. From Shambala festival to The National Trust's Sutton House via Halloween balls and Live Art Performances for Modern Panic, we are continually challenged and thrilled by this unique collaboration. Alicia Davies, of Earthsong Sound Healing. Provides stunning live healing gong soundtracks for Lucid and Hypnagogue. Actors Rebecca Cooper & Stephen Blackley as 'Kate' and 'Charlie' in Lucid. Jamie Zubairi : Visual Artist and performer, Jamie Zubairi, performed the live art projection painting for Twice Shy's first performance of 'Baby Blues' and collaborated with balinese dance and live improvised story-painting for Apokalypsis. Juliette Jeanclaude is a visual artist, performer and founder of Healing Creativity. She played The Aerialiste in ONCE BITTEN in Glasgow, Twice Shy's debut show.